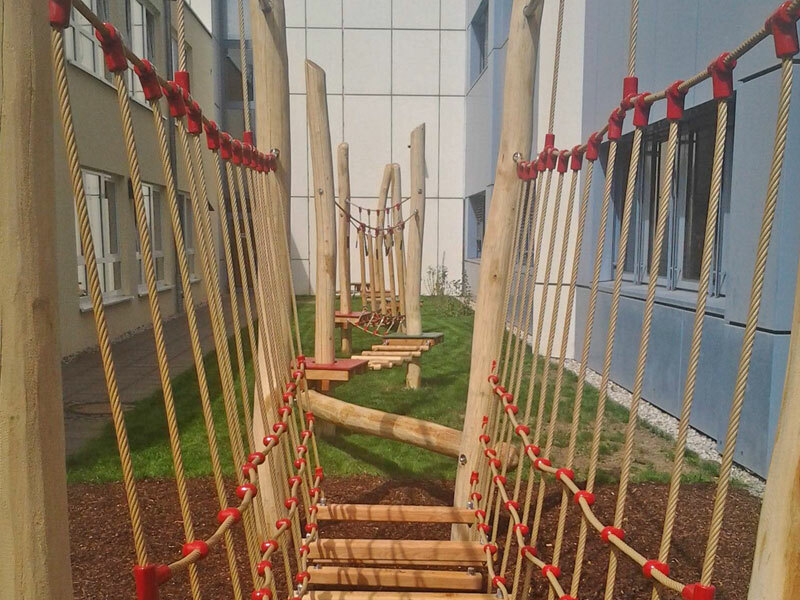 The ProSiebenSat1 Media AG thought carefully about the new playground for their firm‘s kindergarten. 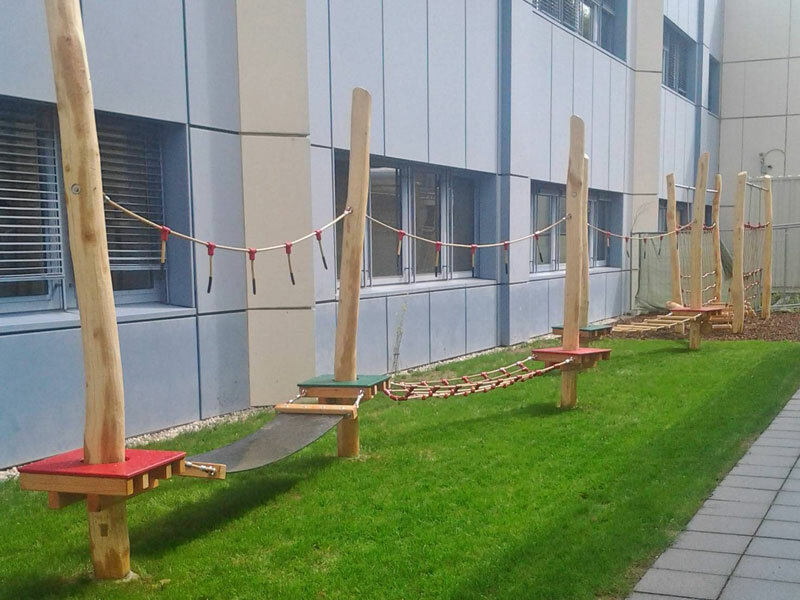 They insisted on naturally-grown and untreated materials to ensure not only play that promoted motor-development, but allowed haptic experiences. The location posed huge construction challenges due to the limited building area and having important central ducting passing directly underneath. 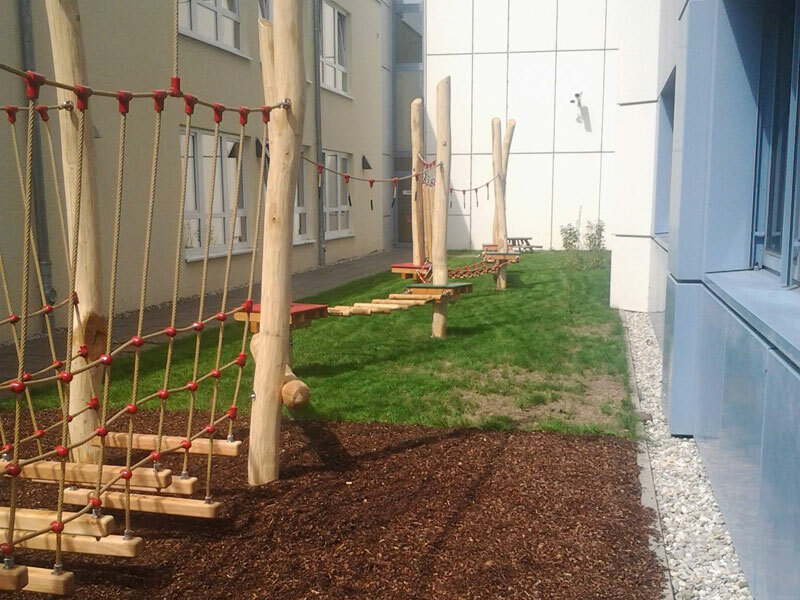 Nevertheless, aesthetically pleasing elements like ‘Netz’, ‘Wackelbrücke’, ‘Stangenwald’ and ‘Sprossenleiter’ were hung between the requested naturally-grown acacia posts. Some elements were up to 20m long. 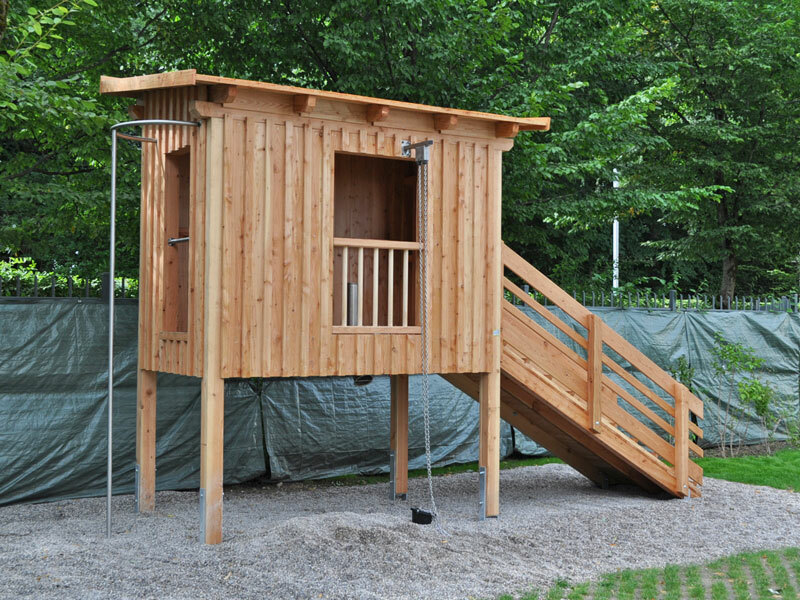 In addition a stilts house is available to the children which stimulate gymnastic skills; climbing, scaling, but also hiding and creeping.